EXCELLENT SCHOOLS High ratings! 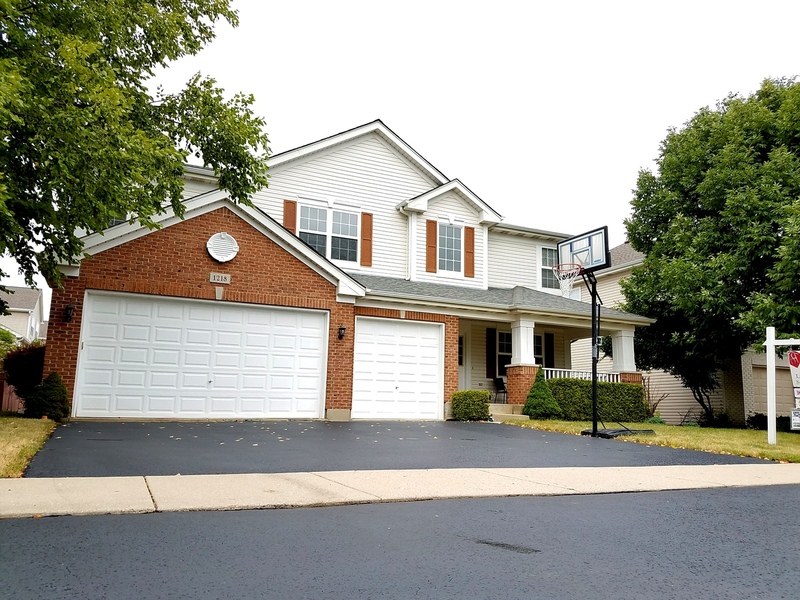 (Buffalo Grove H.S., Thomas, Greenbrier ) *3-CAR GARAGE. *First FLOOR Bedroom/Office. *CLEAN. *SPACIOUS. *Bright with LOTS of SUNLIGHT for dreary winter months. *Vaulted Cathedral Ceilings. *Kitchen Island. *Largest Model on Kelly Street ( 3546 SF ). *Original Owners. * Master bedroom complete with luxurious MASTER BATHROOM including walk-in shower and jacuzzi, and full size walk-in closet! *Huge Spacious unfinished basement for your kids' INDOOR PLAYGROUND. UPGRADES:*New Kitchen Stove *Oven Range Hood (2017) *New Central AC ( 2016) *New Siding (2015) *New Family Room floor (2017) *freshly painted throughout. *Minutes to Hwy 53, Metra Station, parks, grocery markets, restaurants and shopping malls.